At Boeing Law Office, PC, the offices of Oakland bankruptcy attorney Eric M. Boeing, we represent clients throughout the Bay Area. Bankruptcy law is our focus: we represent ordinary people in Chapter 7 and Chapter 13 bankruptcy cases. We offer a free initial consultation so you can learn what benefits or risks might come from filing a case with the Bankruptcy Court. We give you real answers to your questions so you can make pressure-free, informed decisions about your options. We promise the highest standard of personal attention and service to our clients. We reply to client calls and emails within one business day, and provide bi-weekly status updates on active cases. Like most of our clients, you may have already been through a lot. You may have lost a home through foreclosure, had your car repossessed, or are having your wages garnished. You might be being sued by debt collectors. Or maybe those things haven’t happened yet, but the threats are looming. Everyone’s particular situation is different, and those differences are critical to the outcome of your case. Call Oakland bankruptcy attorney Eric M. Boeing today to find out how the particular facts of your specific situation affect your case. When you call us to schedule a free initial consultation, you are taking the critical first step in regaining control over your finances: educating yourself. STOP debt collection in its tracks. Immediately. When you file a case with the Bankruptcy Court, you immediately come under the Court’s protection. All debt collection attempts, including phone calls, letters, lawsuits, foreclosures, repossessions, and wage garnishments must stop immediately. When you complete your case, you typically receive a discharge of your unsecured debts. Credit card debt, medical debt, personal loans, deficiencies on repossessed cars, and sometimes old income taxes are all subject to discharge; that means your legal obligation to repay those debts is gone. There may be additional benefits: Homeowners, if you’re behind on your mortgage, a Chapter 13 case can give you five years to get caught up on the amounts you’re behind. Under certain circumstances, you can “strip” second a mortgage. Or, if you’re deep under water and simply want to surrender the property, the Court provides an easy mechanism to do that, too. Bankruptcy is not a dirty word. It is a legal tool that is as available to you as it is to large companies. It exists to prevent people from losing everything, and because the legal system recognizes that sometimes people need a fresh start. Nobody should feel ashamed or powerless in any situation. People often find themselves in unforeseen circumstances not of their own making. We don’t judge you here at Boeing Law. Instead, we fight to use Bankruptcy law to keep you from losing everything. 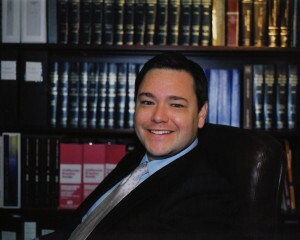 Oakland bankruptcy attorney Eric M. Boeing is happy to meet with you and discuss your case.